Pay-radio operator Sirius-XM says its satellite radios are now installed in more than 50 million vehicles, although not all are subscribing to its services. 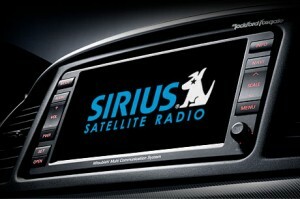 Sirius-XM units are now factory installed in close to 70 per cent of all new vehicles sold in the USA. “We are proud that SiriusXM has reached this major milestone since it directly reflects the strong commitment by all automakers to satellite radio and the high level of enjoyment by consumers for our unrivalled audio entertainment service,” said Jim Meyer, President, Operations and Sales, Sirius-XM. BBC Radio 1 back on Sirius-XM – sort of!